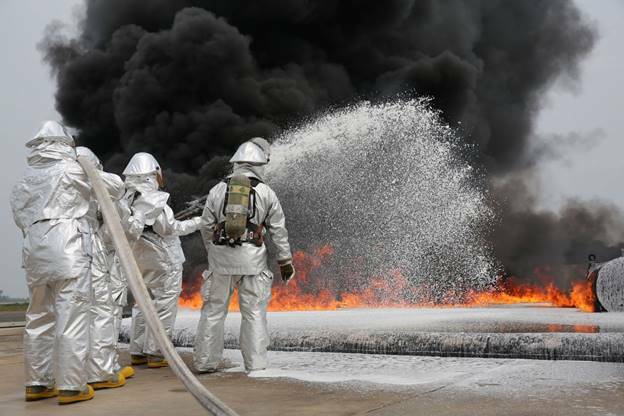 Per-flouro octane-sulfo-nate or PFOS, and Per-flouro-octa-noic acid or PFOA, are the active ingredients in the foam routinely used to train soldiers to extinguish aircraft fires at U.S. military bases around the world. The toxic chemicals are allowed to leach into surrounding soil to poison groundwater. The result is one of the greatest water contamination epidemics in human history. This is criminal. Sadly, most affected folks will never hear or read of this serous problem. Exactly, as with many things. Very sad eh.